Where the World's Best Come to Train. SMP Training Center — Florida provides training, mentoring and certification to those interested in developing into an SMP artist. This training center hosts the best SMP trainers from around the world for the most intensive training out there. We offer you this opportunity to receive continuing education and mentorship with one of the most recognized and well respected SMP artists in Florida and around the world. We teach SMP artists how to repair the kinds of bad SMP we see all the time. Regardless of cause, hair loss is very common. According to recent studies, thinning hair affects as much as 85% of men over fifty in the U.S. People undergo various hair treatment procedures to mask their hair loss, but none come close to the unbelievable results of SMP. And due to the tremendous acceptance of SMP worldwide, there are many practitioners out there offering bad SMP work. SMP Training Center – Florida is dedicated to upholding very high standards in the SMP industry so it does not succumb to unscrupulous people taking advantage of a lack of regulation. Some will refer to it as a Hair Tattoo or Medical Hairline Tattooing or Hair Simulation or Follicle Replication. In the end, it’s simply the art of creating the illusion of real hair follicles. Most practitioners have been trained to use one type of needle when performing scalp micropigmentation. Not our artists! We train artists to use different types of needles (single micro and three-point) in order to achieve optimal results. Aside from the hairline, our artists also pay very close attention to key factors such as blending, matching, feathering, density-building, texturing, scar concealment, etc., in order to produce undetectable natural results. It is simply the most realistic, non-invasive, cost-efficient hair loss treatment out there. If done correctly it is seamless, undetectable and, in many cases, unbelievable! Though both involve placing ink beneath the skin, there is a world of difference between scalp micropigmentation and a tattoo. For starters, they’re each applied differently. When you get a typical tattoo, the artist will use apply the ink more deeply beneath the skin than is needed for SMP. A tattoo also often requires shading, a technique which can be very uncomfortable and is not used anywhere in our industry. Considering the sensitivity of the scalp, SMP is done more delicately than a typical tattoo. Each dot is carefully placed in a precise location and depth along the scalp in order to improve the appearance thickness and fullness of your head. Why SMP Training Center - Florida? Scalp micropigmentation is the fastest growing permanent hair loss solution. Get trained, certified and mentored and be on your way to making six figures and helping men and women regain their confidence! And, with the influx of poorly trained SMP technicians, there is a spike in SMP work that is botched and needs repair. Learn the trade, hone your craft and start helping those who need it most! SMP Training Center — Florida offers you advanced training that will raise you above the crowd in the world of SMP artists. The center is run by Seif Sidky, who has quickly become one of the most recognized and well-respected SMP artists in Florida. He is one of the most sought-after artists for repairing bad SMP procedures. 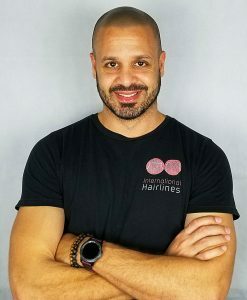 A consummate perfectionist, his innate attention to detail, combined with his passion for helping people feel their best has helped him produce some outstanding scalp micropigmentation work on clients from all walks of life and of different backgrounds. He has since shifted his focus away from his own thriving clinic, and is now concentrating on training, mentoring, and helping other artists develop the skills necessary to make it in this industry. Click on class for pricing details. Learn SMP from A to Z by spending weeks of one-on-one time with master artist Seif Sidky, learning all the fundamentals as well as advanced techniques, and all the secrets and nuances that are part of the everyday life of a SMP artist. In those 10 weeks you will conduct actual client consultations and work on real clients before certification. If you are serious about providing quality work and understanding the craft and have the time to invest and dedicate to it, then this is the training for you. Get certified through the most intensive and comprehensive SMP training out there and be on your way to launching your SMP career without all the trials and tribulations of a novice artist. Hit the ground running! This course is for beginners and is a good start-up program for the Permanent Makeup/Micropigmentation profession. It is a very popular among our students, as Microblading Technique has become very fashionable within last 5 years. The course includes Microblading Technique. Microblading kit and practice materials are also included in a cost of training. Upon completion of registration 2 weeks prior to the beginning of the class, students will receive a home pre-study assignment. We try our best to supply models but it is not guaranteed. If you have a friend or family member you would like to bring in that would be fine as well!!! After completion of the class hours’ students assigned to home practice. Disposable Microblading pen 6 pc. Upon successful completion of the program, students welcome to complimentary one-year online support. Students can email their questions to the instructor. Makeup/Micropigmentation profession; is most popular among our students as brow procedures are in high demand by customers. The course includes training in the basics of PMU and most techniques for eyebrows. Microblading kit, Permanent Makeup kit and practice materials are included in a cost of training. Students do not need to buy a PMU machine to attend the course. After completion of the class hours students assigned to home practice. Upon successful completion of the program, students welcome to complimentary one-year online support. Students can email their questions to the instructor.. Remaining balance is due 7 days before the course. You will be sent an invoice. If full payment is not made 7 days prior you forfeit your seat. Classes are non-refundable, but can be transferred once to another course at a later date. This course is an excellent broad fundamental program in Permanent Makeup/Micropigmentation profession. The course includes training in the basics of Permanent Make-up and the most popular techniques for eyebrows, eyeliners and lips. The cost of the training also includes both a Permanent Makeup machine and a basic Microblading kit. During the training you will also have a chance to try out different machines. With our machine you will be ready to go to work without the stress of finding a machine! We have you covered to start your new career. Practice of performing procedures of brows, eyeliners, lip color. We prioritize and focus on providing our students with hands on practical training. We do supply the models but If you have a friend or family member you would like to bring in that would be fine as well!! After completion of the class hours, students are assigned to home practice. 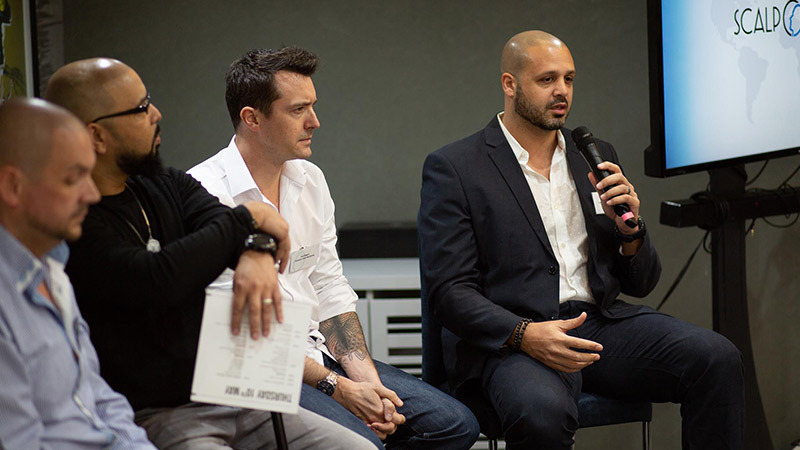 John is regarded as one of the most experienced and highly trained artists in the scalp micropigmentation industry. Having over a year and a half of training and apprenticeship under HIS Hair Clinic and then becoming their head technician, before opening his own brand, ScalpCo in Sacramento, CA, which has become one of the industry leading clinics in the world. Seeing a desperate need of quality training, John has embarked on a mission to change the way up and coming artists can learn this difficult technique. Through intense training and complete knowledge from top artists of more that just the basics of SMP. 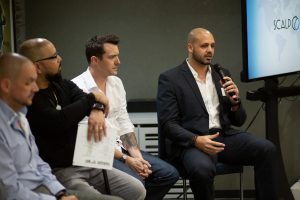 Only after completion of the entire curriculum will a certificate be awarded to the graduate and this will ensure that every situation is within the reach of becoming successful scalp micropigmentation artist and business. Fernando Cortes established Hairline Studios originally under the name of Scalp Aesthetics Orlando in 2015. A professional barber and cosmetologist with 20+ years of experience, his desire to become a Scalp Micropigmentation Practitioner was a natural one. Fernando’s philosophy is simple: Provide the same level of expertise and service that he would expect to receive himself. 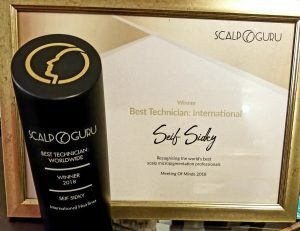 After meeting and collaborating with one of the world’s best John Chandler, they decided it was time to develop an intensive quality training in Scalp Micro Pigmentation, Scalpco Academy. requirements. My level of practice and knowledge are sufﬁcient to train others who want to start on the road to wonderful new job opportunities. My course is based on the “essential” skills and 80% practice. Working a lot on fake material and live models is the key to true skill and competence. I have met and shared with most of the worlds best practitioners, and I can say: we are in an amazing industry with huge potential to earn money whilst making people happy! Candice has worked in the beauty industry for over 17+ years and was introduced to Permanent Makeup by a highly respected trainer. She began to research Permanent Makeup and instantly fell in love with the idea of helping women achieve their desired look. Candice completed and received eight different certifications in Permanent Makeup as well as non-laser tattoo removal and is affiliated with local Plastic Surgeons, Dermatologists, Medical Doctors and Medical Spas. She is an international trainer and offers classes for non-laser tattoo removal and permanent makeup in her offices as well as on location. Candice prides herself on maintaining the highest standards of care for each and every client and student. Her facility is Department of Health Compliant and Inspected. The result of Candice’s work reflects her true artistic ability. 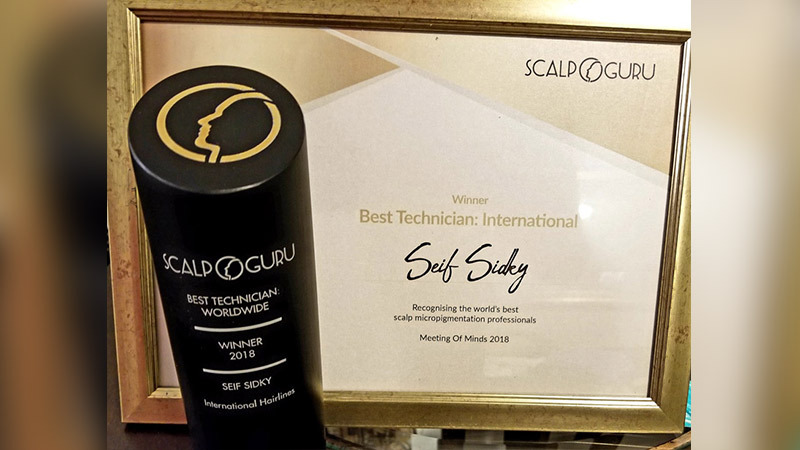 Seif is one of the most recognized and well-respected SMP artists and has recently won the prestigious Scalp Guru award for “Best Worldwide SMP Practitioner 2018” as voted by his peers around the world. Seif mentors several artists including all those at International Hairlines locations in South Florida as well as Cairo, Egypt. 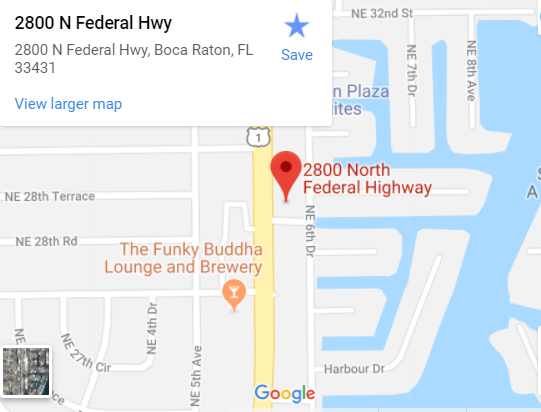 Apart from running SMP Training Center – Florida, he occasionally treats clients, more specifically those who need SMP repair work, Alopecia patients and other certain challenges. While with Scalp Aesthetics in years past, Seif received awards for being the artist who produces the “Best Natural Hairline” as well as the “Best Business” award, and in the process, has become one of the busiest and most successful artists in the world. He is dedicated to doing his part in ensuring this industry maintains very high standards and not succumb to unscrupulous people taking advantage of a lack of regulation, and of potential clients in the process, thereby tarnishing what others have worked so hard to accomplish. Renata has been specializing in scalp micropigmentation since 2014. She is a Certified SMP Provider and business owner, practicing in Hamilton, Ontario Canada, at the Scalp Amplified Studios. Renata started her smp career and trained with Scalp Aesthetics in the U.S. Recently, she traveled to the United Kingdom where she advanced her knowledge at the Brandwood Clinic in Birmingham. Pam Neighbors is Founder and Master artist/educator of Trillium Ink Scalp Academy. Trillium Ink is rooted in the Seattle/Portland area. She has 28+ years experience in the field. She is a licensed, certified permanent cosmetics artist and is accomplished in tattoo art, scar camouflage, aesthetics, and micro needling. She has studied scalp micro-pigmentation in three countries and holds three Master certificates. Contact the professionals at SMP Training today for more information.